One of the most popular and iconic video games of all time, Street Fighter II, returns once again, this time on the Nintendo Switch. Ultra Street fighter II: The Final Challengers brings the beloved fighter to Nintendo’s current hardware with a lavish transition, though it does come with a few caveats. 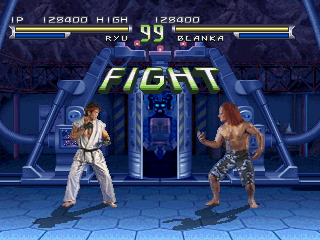 In terms of gameplay, this is very much the Street Fighter II we all know and love. 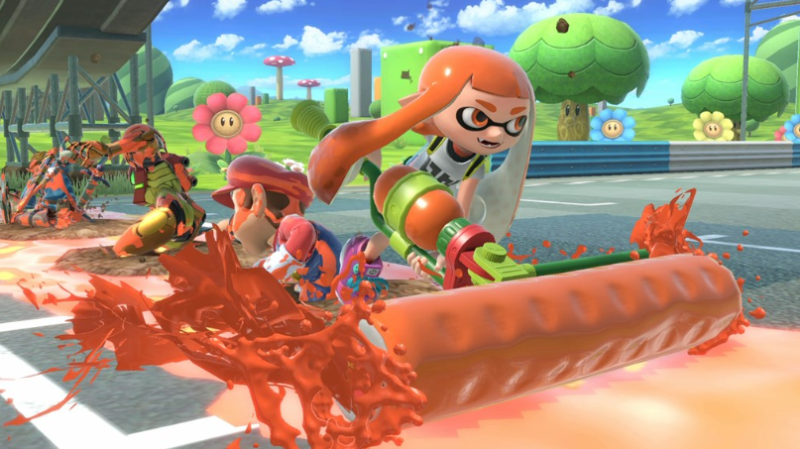 Capcom has claimed they made a few balance tweaks, but only the really dedicated competitive players will probably notice. Otherwise, it plays just as well as Street Fighter II always did, which is both a good and bad thing. It’s good because, for the most part, Street Fighter II has aged pretty well. 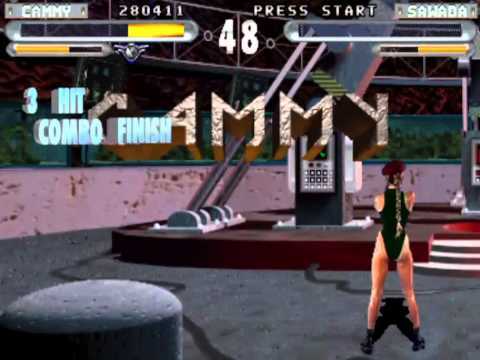 This is the fighter that gave us combos, and added so much intricacy to the genre’s mechanics. It’s still a satisfying fighter. But this is bad because (unpopular opinion approaching), while it has aged well, Street Fighter II is much stiffer and less fluid than its successors. Ultra Street Fighter II works like Street Fighter II always did. It certainly gives the game an authentic feel, but if you’re more used to Street Fighter III or IV, it’s going to feel a little bumpy by comparison. You can play the game in two different visual styles: the classic, pixelated style found in the original, or a modern, HD look. Though it’s nice to have the retro look available, there’s a smoothness and visual pop to the contemporary look that makes it my preferred mode. 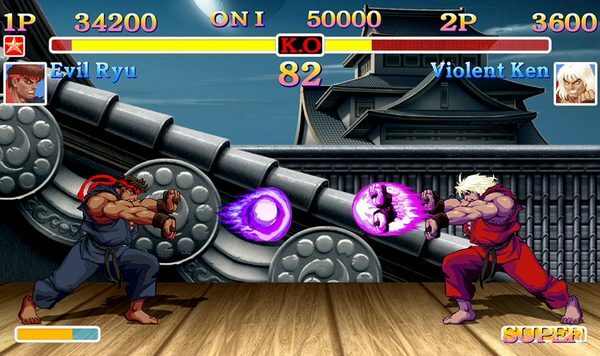 Ultra Street Fighter II: The Final Challengers does bring a few new tricks to the classic, with the most obvious being the additions of two “new” characters in the form of Evil Ryu and the hilariously-named Violent Ken. 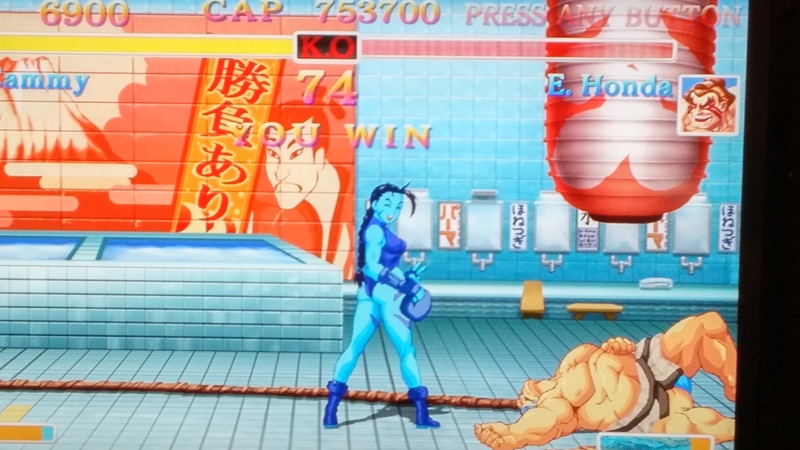 Though it’s nice to have additional characters brought to a new version of a decades-old game, it is a bit disappointing that the new characters are just alternate versions of ones that already existed in Street Fighter II. I understand that Capcom wants to keep the game close to its original incarnations, so I wouldn’t expect them to go all out and add a whole roster’s worth of new characters, but it would have been far more interesting if they pulled one or two characters from the Street Fighter sequels and placed them into this most iconic installment, instead of simply popping out two re-skins of the two most ubiquitous characters in the series. Of course, being on a modern console, Street Fighter II now features online play, with ranked and casual matches available. It’s your standard online features for a fighter, but no doubt the ability to face people from all over the world for a few rounds of Street Fighter II is enticing. One of the more enjoyable new features is the ability to create your own custom colors for the characters, though this too has a few drawbacks. 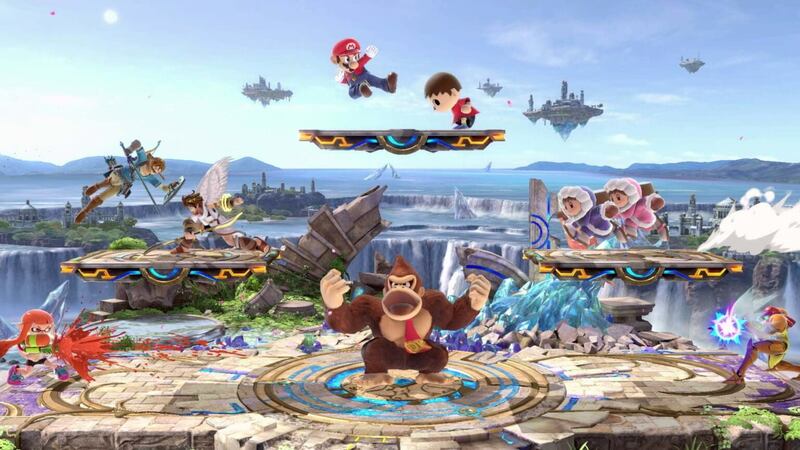 Each character has ten different color sets, which you can alter however you like. 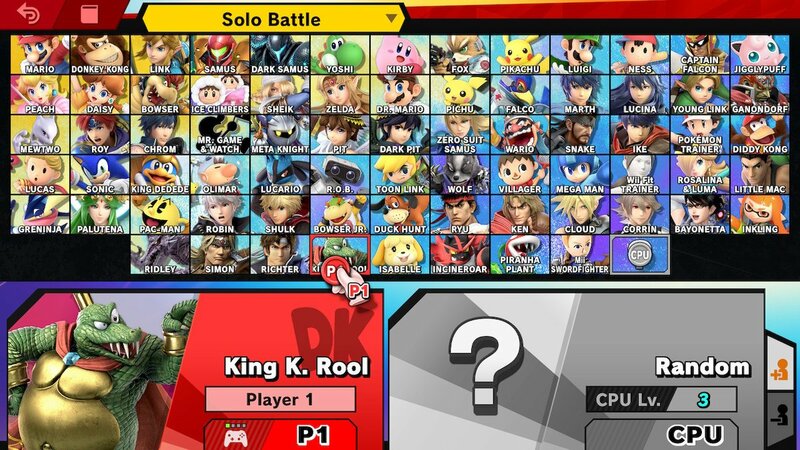 On the downside, you can only equip one of your custom colors for any given character at a time. So you can’t show off your rainbow of Zangiefs to a single player online. Instead, you have to go back to the main menu, return to the color editor, select the character, and then equip one of the other color sets. 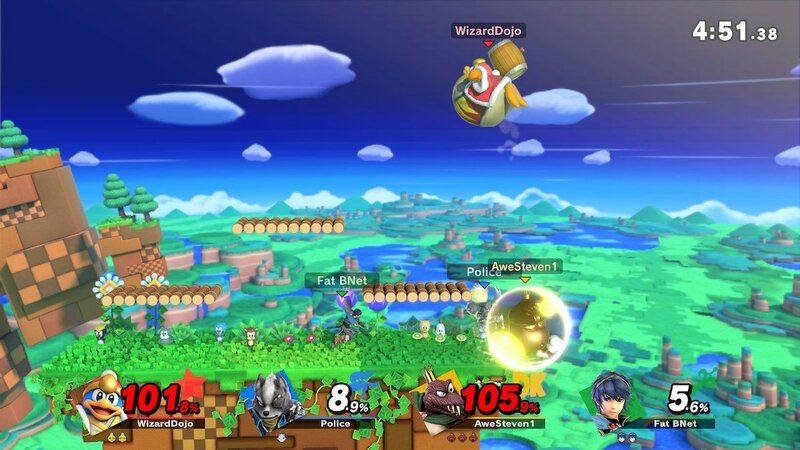 It doesn’t really make much sense, since the characters have so many color sets to begin with, why can’t you equip more of your custom colors and swap them out in between matches? 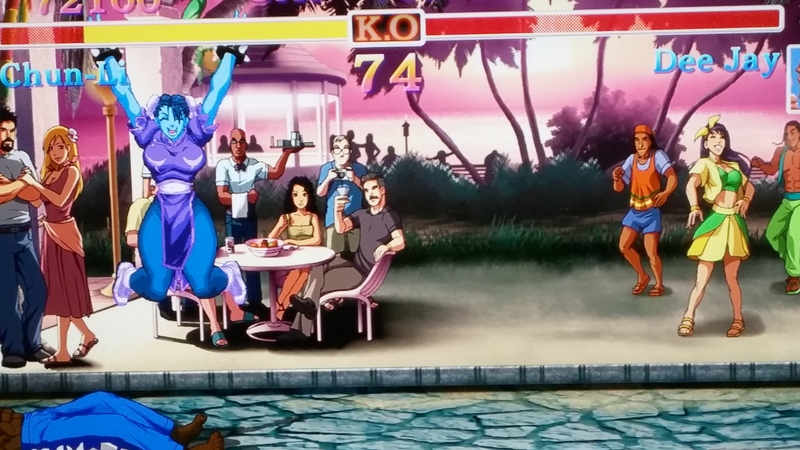 Still, being able to play as blue Cammy is always awesome. There is one new feature that the game could have (and probably should have) done entirely without: The Way of the Hado. 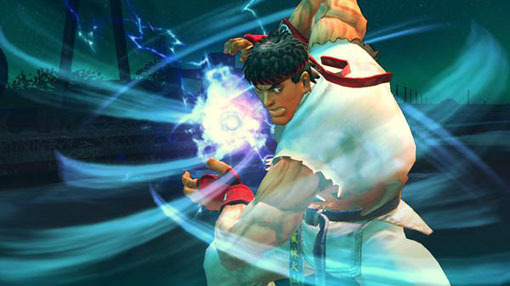 While the base game can use different control methods, the Way of the Hado mode uses the motion controls of the joycons, as players take control of Ryu from a first-person perspective to defeat onslaughts of Shadaloo soldiers. Simply put, it’s poorly-implemented, with the motion controls hardly ever working as they should. 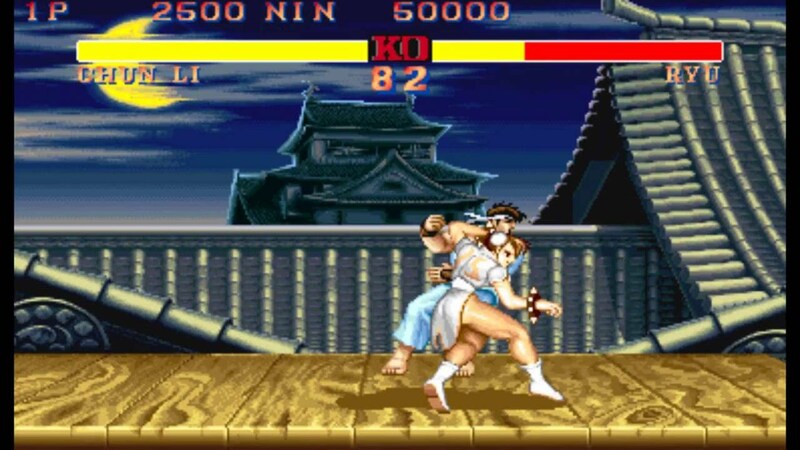 Ryu can perform a variety of moves in this mode, but it seemed like no matter what I did, he just threw Hadoukens at opponents. Only by sheer, random luck did I ever perform anything different. 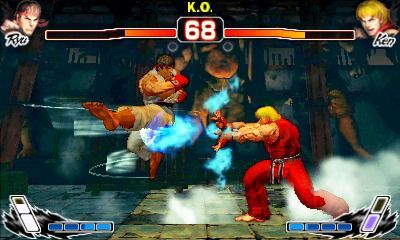 When all is said and done, Ultra Street Fighter II: The Final Challengers is another fun iteration of Street Fighter II’s unique “brand within a brand.” It core fighting plays as well as it ever did, the new visuals and updated music are a pleasure, and you can definitely have fun playing online or at home in the game’s multiplayer modes. 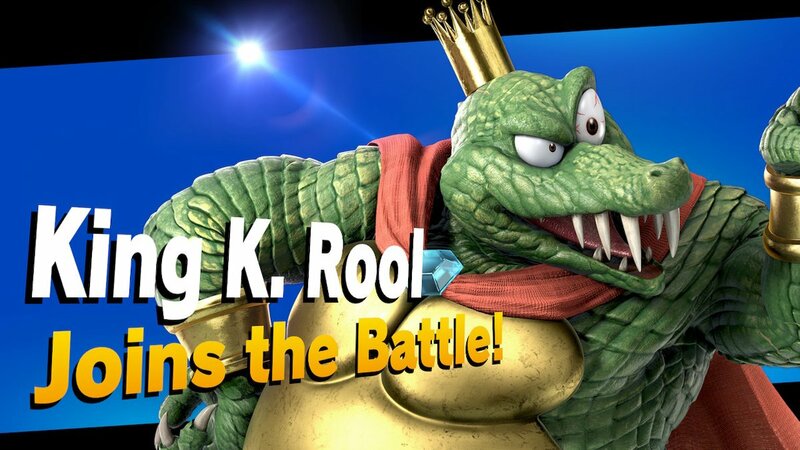 But perhaps a little more tweaking to make things move a little smoother might have brought it a little more up-to-date (at least with the new visual mode, the game could have used a little more modernization in gameplay). The “new” characters are also a tad disappointing, and some of the new features aren’t fully-realized, with the Way of the Hado mode being a complete mess. Still, Street Fighter II is Street Fighter II. No matter how many versions it’s seen over the years, it still remains one of the most playable games of its era, and is still a surprisingly deep fighter even by contemporary standards. Yooka-Laylee, the Kickstarter darling from Playtonic Games, has already gained an impressive following for its ambitions to revive the 3D platforming genre of the N64 days. 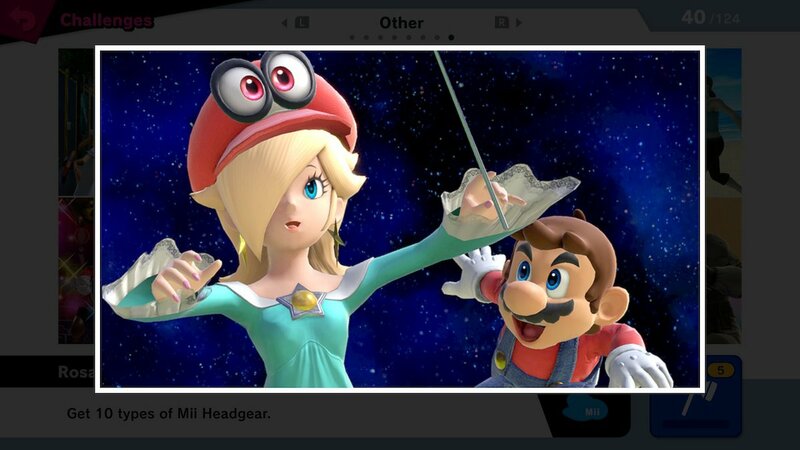 It’s also aiming to resurrect the old video game tradition of having two heroes share the spotlight. 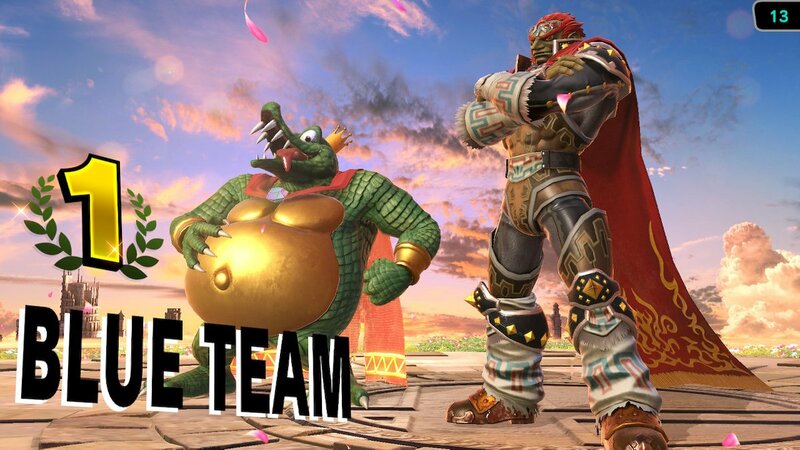 This got me thinking of some of the other great video game duos over the years, so I decided to compile a list of the top 10 twosomes in gaming. The only real qualification for this list was that the two characters have to share in their adventures together. They can be two equal heroes or a hero/sidekick combo, but they have to both brave their adventures on a somewhat even level. 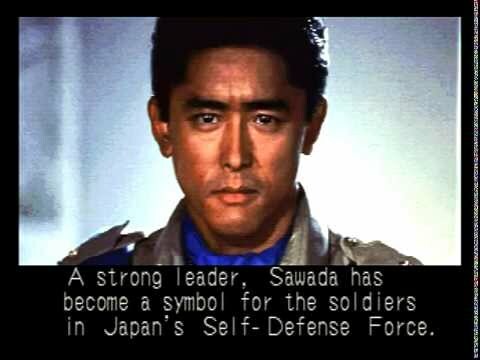 Solid Snake and Otacon won’t be here, for example, because while Otacon may help Snake in some valuable ways, it’s usually from the sidelines. 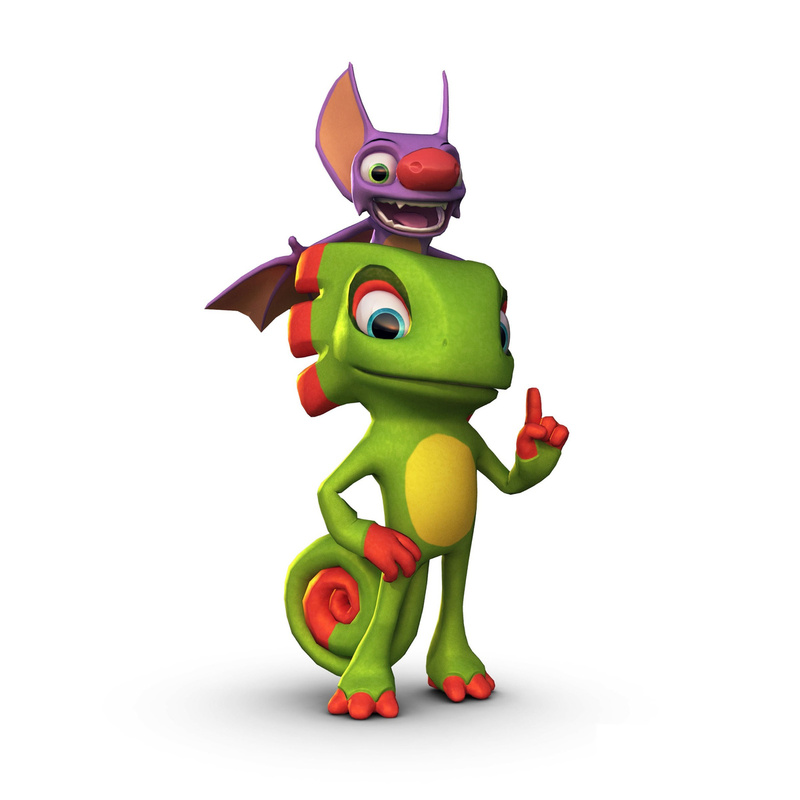 Also, as much as I already love them, Yooka and Laylee won’t be here for the obvious reason that their game isn’t anywhere near release. Only established games for now.